Posted 5/24/2018 9:11am by Allison Mills Neal & Matthew Neal. Come on out to the Leipers Fork Farmer's Market Today Thursday the 24th from 3:30 - 6:30. We would love to see you! Also Eastenn Dutch will be serving up a Chilled Red Clover Lemon Tea...a modified lemonade stand. We will see how long he can stick with it with all the other fun events going on for children! Posted 3/19/2018 1:35am by Allison Mills Neal & Matthew Neal. I was caught from my backside planting the first row of Red Thumb fingerling potatoes. As you can see, potato planting has quite the limbering effect. Who needs yoga, workout, or toe touching classes when your body and soul moves fluidly with the rhythms of the planting season. 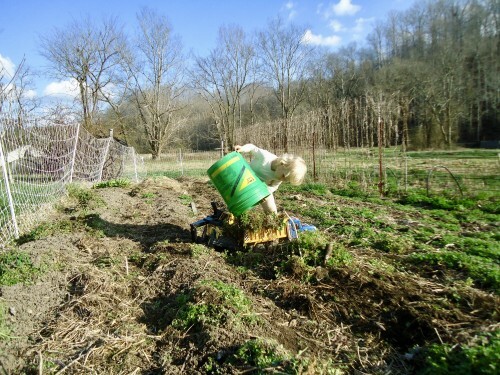 This past Wednesday when the Moon was in Capricorn (ROOT SIGN) I was able to try out my theorized "no till" potato planting for the 2018 season. My pursuit of this alternative method came about because of the incredibly rainy late winter season. Our total rain accumulation for he month of February was 13.2" and I would bet this was a weather record. I know it was the wettest that I have ever recorded on the farm for the month February. Since the soils are very saturated, I started thinking of alternatives that did not include our tractor for the initial soil preparation. I have come up with the experimental method that I am using this year and I think it will be of great success if all parts of the method can be executed with completion. It involves perhaps a little more manual labor but overall the soil as a mass will not be disturbed and hence nor will the earthworms or the soil's microbiology. Unfortunately, I have not had success in filing the Arugula's Star Farm Farming Partner Positions. Potato seeds are one of those that the order is made in January and at that time I would have hoped to have found some partner candidates, but here it is potato planting time and there are NO partners. I have been working to try to get rows pre layed out and dug so prepped rows will be ready for the potatoes to be placed into ground come this week when the Moon will be in Taurus (ROOT SIGN) on Wednesday March 21st, Thursday March 22nd, and Friday March 23rd. The weather is looking perfect, so as long as I can find some needed hands then the 200 lbs of heirloom potato seeds can be placed in their season's growing home. I am always encouraged by the shear force of having many folk work done a row and how the completion comes with such powerful ease. A job that would take one person a couple of hours often can be quartered in duration. 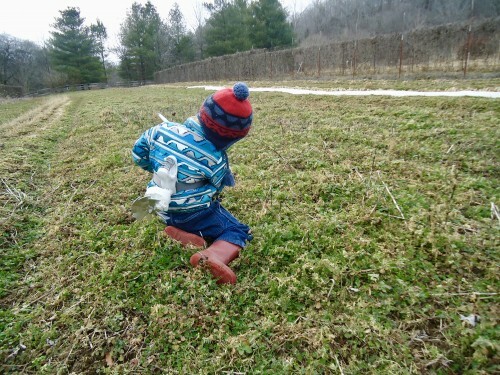 This is exactly what happened on Sunday at our Ecosystem Exploration Family Farm Day. We had our best turn out thus far, with 4 wonderful families. I did not even expect anyone to really want to help in the potato row prep, but one family even brought their gloves and were ready to get to it. This family of 5, joyfully made it down a 220 ft row very excellently. To see how a family can work together at such a necessity related task was quite beautiful. With that being said, I have come up with the 2018 Potato Planting Proposition. I have already sent this out to Belmont University's Science Department and Slow Foods Chapter, as they made an initial visit to the farm a couple of weeks ago and we discussed how students could have a hands on farming experience on a monthly basis, The Middle TN Women's Farming Group, and The Nashville Food Project. Now, the 2018 Potato Planting Proposition is being sent your way. Please pass along to anyone that you think would be interested in helping. Here it is posted below. After seeing what the work of one family can do, I would say this opportunity would be an excellent hands on learning experience that would be very rewarding for a family or even an individual or couple. All details can be found below and YES there is $PAY involved! Arugula's Star Farm NEEDS your HELP! Getting our Organic/Biodynamic Heirloom Fingerlings Planted for the 2018 season. A very soil enriched, hands on experience. Due to our very very wet late winter we are preforming a complete no till, 100% manual planting procedure this season. Will use shovel, trowel, compost, and hay. A family, pair, or single can successfully make it down one 220 ft row. Of course, it takes one person a longer time, but it is completely doable as this is my life and I do it all the time! I will give specific instructions for the planting method and directions will need to be followed. Any of these dates below will be used for getting rows ready and actually planting potato. Specific to Astrological ROOT Sign for placing potato seed in ground. 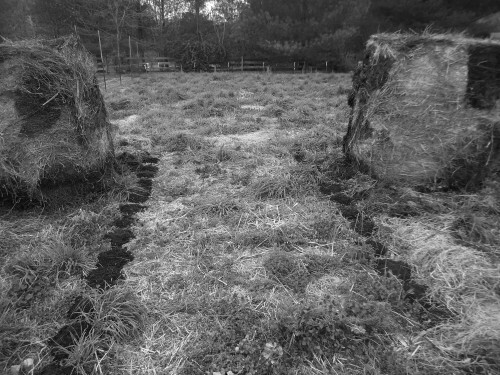 To complete a whole row of preparing and planting and topping off with composted hay, it takes one person on average 5 hours I would say, but this estimation depends a lot on efficiency, determination, and skilled rhythm. If there are two people working on a row, or a family then completion would of course come way sooner. To get to have a super fun hands on Organic Farming experience and to get to be apart of your local food system's supply chain. To get Compensated $40 per completed 220 ft row! Needs to be done successfully of course! If working as a family, this is the total amount your whole family gets. If you are a family of 4-5 you might think about signing up for a couple of rows, as you would work through 2 rows in a breeze. Please include name, what date you would like to participate, and how many rows you plan on completing. You will get a confirmation and any other needed details that pertain to the days activities. Since I have sent out to a variety of organizations, I would not hesitate long if you do indeed want to sign up. Unit openings very well could fill up...and I hope they do! 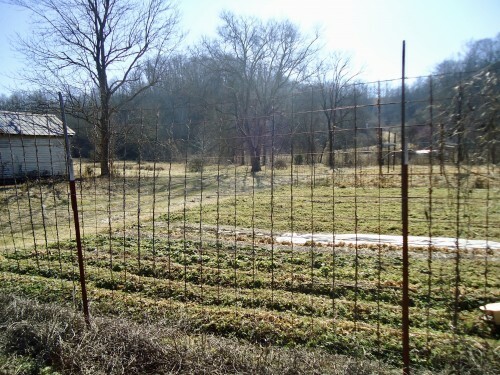 Arugula's Star Farm is located only about 40 minutes from the south end of Green Hills...a beautiful drive with no interstate required. Driving directions can be found on website, or by clicking here. 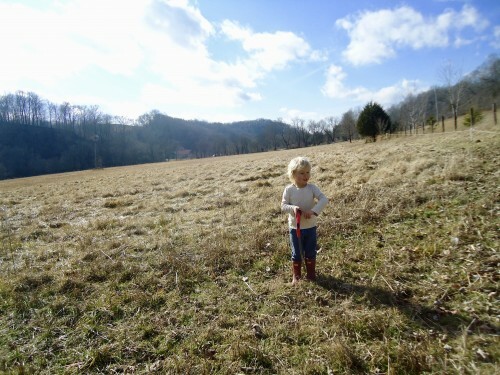 Ecosystem Exploration Family Farm Day...SUNDAY MARCH 18th 1:30-4:30...last minute adventure! Posted 3/18/2018 12:19am by Allison Mills Neal or Matthew Neal. How do! 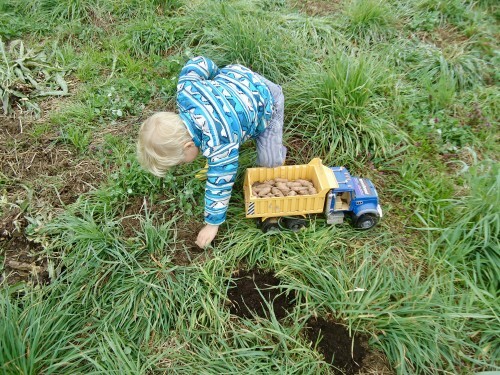 Such full days lately on the farm that even we almost forgot about the Ecosystem Exploration Family Farm Day. Quick reminder...the date is right here upon us...SUNDAY March 18th from 1:30-4:30. The 3 Hour Time Frame has an "arrive and go as you please" structure. Your family can stay for the whole time or just for an hour. 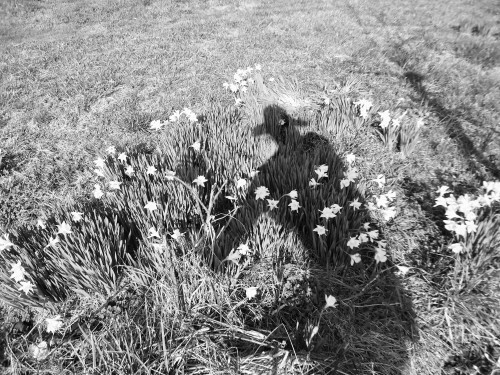 The spring flowers are in bloom and we can about wave goodbye to our mild and friendly winter season. 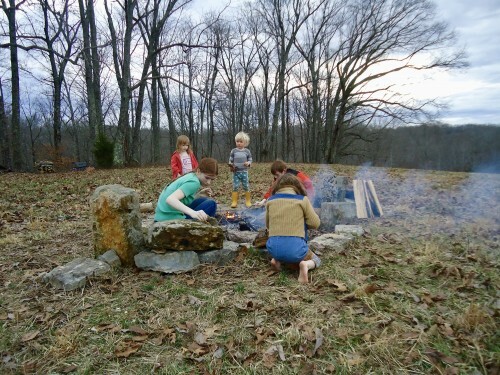 It sure feels like spring, so maybe that spring will propel you and your family on out for a simple adventure. We will have our farm banner out to welcome you and from there you will just follow the signs and arrows. Eastenn Dutch will be looking forward to your visit and so will we! The EEFFD might be in the Valley Meadow with steers, chickens, dirt, green tufts of grass, and fields tomorrow instead of up on the Hill Top Bald & Forest. The reason being that potato row preparation is pressing and I am trying to get as many rows laid out and dug as possible before the 3 Big Potato Planting days that are coming up this week on the 21st, 22nd, 23rd. With that being said, the floating project will probably be digging potato holes! Posted 2/19/2018 1:24am by Allison Mills Neal & Matthew Neal. Week 7 passed right on by in a flash. This week brought a mix of rain and farming events that pushed days of work right out the window. I sense this was the last week of off farm socialization before the onset of the season's brunt becomes ever encompassing, that is if the soils can catch a breath of air from the inundating amounts of rain. We added another 1.7 inches of rain this week and it appears we might be in store for a another couple inches this week! I was so thrilled that despite the overwhelming sense of clouds there were three instances of brilliant sunshine that helped restore the winter February glooms this week, in which I am sure you all noticed and soaked up as well! The week started out with an appointment from a long standing customer, intern, and friend that actually had no dealings with produce per say, even though a 10 lb bag of Heirloom Carolina Red Shelled Limas went in tote. Matthew and I have been talking about turning something we are crafted in into something that can be created for others on a larger scale and this appointment I might say is the official start. The topic is handcrafted wooden beds with 100% organic mattresses, spanish styled chairs, & settees with 100% organic cushions that are made solely out of re-purposed second-hand hardwood (either from old barns or from naturally deceased trees from our own property and other surrounding Middle TN properties) My first commissioned 100% organic mattress is in the pipeline, and here soon Matthew will be milling. More info coming soon, but in the meantime if you have any interest of this topic please let us know. Next we had a visit from a new individual that expressed interest in interning, which is great! Therefore, we will proceed with the standard trial and error period to see if a mutual simpatico work relationship will present itself in the cards. Nonetheless, with this being said, I am still looking for farm partners to apply. Click here for more info on Arugula's Star Farm Farming Partners and Click here for ASF Farm Partner's Application. I did get the onions started this week in one of those moments when the energetic sun shined and it was lovely. Mid week we took off towards Louisville, KY for the Big AG Farm Show, which was primarily an interest of Matthew's and Eastenn Dutch's. I went along for the ride, as part of the trip included a visit to the Bernheim Arboretum & Research Forest up in Kentucky, south of Louisville. 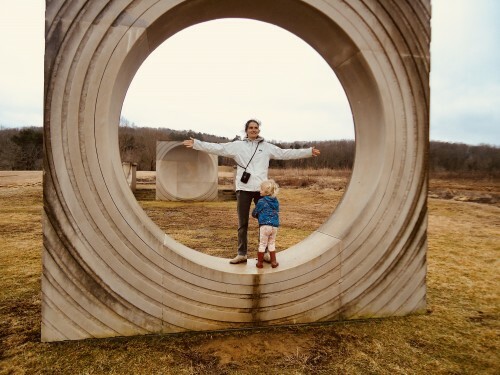 https://bernheim.org/program-and-events/. 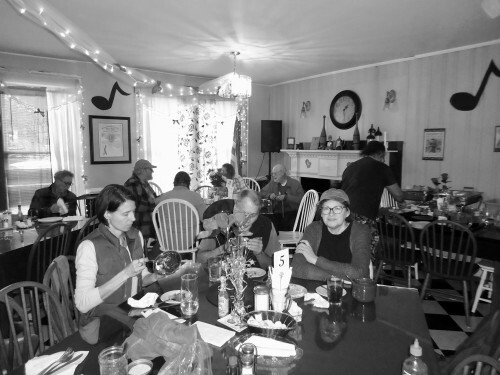 Upon return, there was the annual Women's Farmer Gathering & Potluck in Nashville on Friday, which is always quite empowering and quaint. 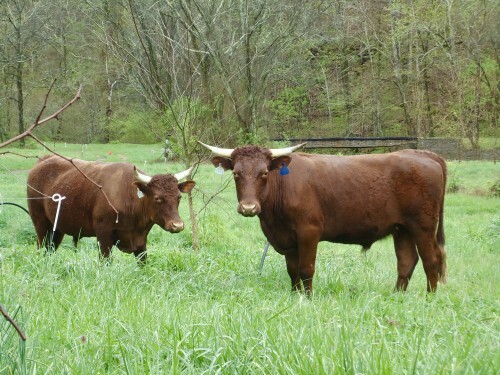 The steers were moved to a new grassy strip on Saturday evening after a very long day of rain. And finally we wrapped the week up with the 2nd Ecosystem Exploration Family Farm Day, EEFFD, of the year. We had yet another lovely day set aside just for this in these grim cold winter times. Our numbers were up from the last as we were delighted with a family of 6! Eastenn Dutch was quite excited and we explored vibrant green moss, dead trees, forest creeks, and wet feet only to be warmed up by the fire ring in the end. Please be curious and go ahead and mark your calendars for the next EEFFD, which will be on Sunday March 18th. March 18th will be our last time up on the Hill TOP bald, south big forest, fire ring spot. Posted 2/19/2018 1:14am by Allison Mills Neal & Matthew Neal. The week started out with an appointment from a long standing customer, intern, and friend that actually had no dealings with the produce per say, even though a 10 lb bag of Heirloom Carolina Red Shelled Limas went in tote. Matthew and I have been talking about turning something we are crafted in into something that can be created for others on a larger scale and this appointment I might say is the official start. The topic is handcrafted wooden beds and mattresses, spanish styled chairs, & settees that are made solely out of re-purposed second-hand hardwood (either from old barns or from naturally deceased trees from our own property and other surrounding Middle TN properties) My first commissioned 100% organic mattress is in the pipeline, and here soon Matthew will be milling. More info coming soon, but in the meantime if you have any interest of this topic please let us know. Posted 2/19/2018 1:12am by Allison Mills Neal & Matthew Neal. Matthew and I have been talking about turning something we are crafted in into something that can be created for others on a larger scale and this appointment I might say is the official start. The topic is handcrafted wooden beds and 100% organic mattresses, spanish styled chairs, & settees with 100% organic cushions that are made solely out of re-purposed second-hand hardwood (either from old barns or from naturally deceased trees from our own property and other surrounding Middle TN properties) My first commissioned 100% organic mattress is in the pipeline, and here soon Matthew will be milling. More info coming soon, but in the meantime if you have any interest of this topic and would like to put your name in the waiting hat please let us know. Posted 2/16/2018 11:55pm by Allison Mills Neal & Matthew Neal. Arugula's Star Farm sending a quick reminder that our second Ecosystem Exploration Family Farm Day (EEFFD) of the season is this Sunday February 18th 1:30-4:30pm. The 3 Hour Time Frame has an "arrive and go as you please" structure. Your family can stay for the whole time or just for an hour. 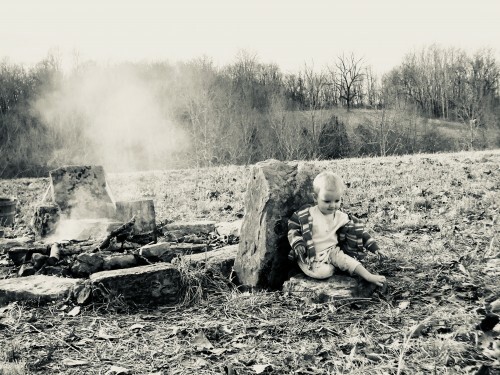 We are in the Winter Season Session, which means we will be at the Hill Top Grassy Bald & Big Back South Forest Sight with Open Fire Ring. There will be well posted signs on where to go upon arrival. Weather Forecast looks cloudy with only 20% chance of rain and temps in the low 60's. We sure hope to see you soon come Sunday! If you are planning on coming, please send us a quick "yes", but as noted this is not required as we do not want a "yes or no" response to prevent you from coming if your family makes a quick last minute decision! Also, as our farm is not on any sort of social media, please pass this posting along to any friends that you think would be interested. Please click here for full info on Arugula's Star Farm Ecosystem Exploration Family Farm Days (EEFFD)! 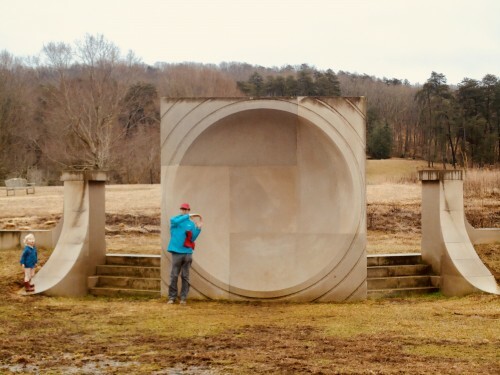 The pictures are of us at Bernheim having fun in a sound scape geometrical memorial structure. This park offers a similar type of program to the EEFFD that we are offering here and it is called Muddy Boots Play Group. 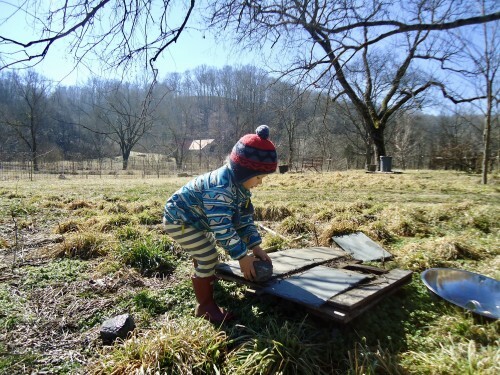 When I read about Bernheim's Muddy Boots Play Group program after learning about it, they mentioned great key points of why opportunities like the EEFFD are very important for children to take part in, and further supports why I wanted to offer something at our farm for the 2018 year! Regular forest experiences and unstructured time in nature can have dramatic and profound influences on child development. Our mission is to provide a safe space for children to play, create and discover outdoors, connect them with nature and help them become resilient learners. Wisdom begins with wonder. At Muddy Boots we help children explore for themselves and encourage them to think, discuss and problem solve. 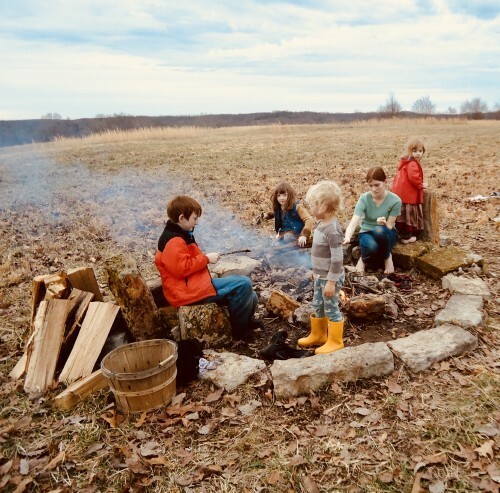 Through unstructured, outdoor free play children develop a host of important skills, such as creativity, critical thinking, cooperation and confidence. Our forest is a magical site where children are free to imagine and explore possibilities for their own healthy development. Posted 2/13/2018 1:35am by Allison Mills Neal & Matthew Neal. February is fairing quite soggy thus far and the rains do not seem to be letting up. Out here we had a total of 4.5 inches in the 6th week. There was already a fair amount of ground water accumulation from the rains prior, but the rain filled week really pushed the grounds well over maximum point of saturation. Our lower fields have lots of wet weather seeping spring accumulation from the higher slopes and rising ground water seeps from the lowest sea level point soil association of the Bodine, thus turning our sogs into full blown bogs. I think we had two sunny days in week 6 and we tried to be out and about a doing as much as possible on those days. Eastenn Dutch and I checked on and dug up some of the Biodynamic Barrel Compost that we made here in the Fall of 2016. The reason for this was because I had the opportunity to attend the Fellowship of Biodynamic Prepmakers Conference over the weekend at Jeff Poppen's Long Hungry Creek Farm in Red Boiling Springs, TN and we were to take along any biodynamic preps that we had made on the farm for some good analyzation. 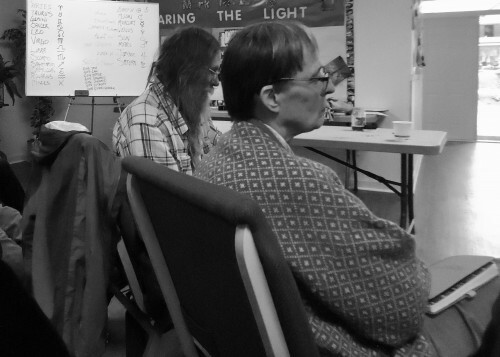 I rode with my good friend Hilary, from our local Demeter biodynamic group, and we had a grand ole time with lots of hands on learning and lecture listening and group discussions. The Fellowship of Biodynamic Prepmakers are the biodynamic Prepmaking leaders in this country really and they all were there...Hugh Courtney from Virginia, Mr. Frey from Frey Vineyards in California, Marjory(Pearl)from Oregon, Dwayne from Minnesota, Lloyde from Colorado, and Brian from Wisconsin, just to name a few. 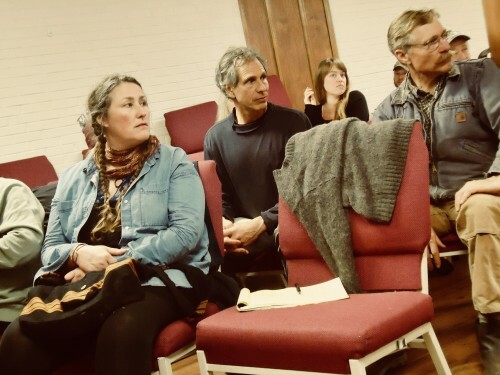 They meet up and host a conference once a year every year in a different part of the country to help farmers learn more about Biodynamic Farming and we were just lucky that they finally decided to make it to the South! I car camped in the back hatch of my wagon car on Friday night, and even though I have car camped a many of times I had yet to car camp when there was a pouring rain storm through the night. This lended itself to the extra neat experience, which gave the sense of sleeping in the rain without getting wet. 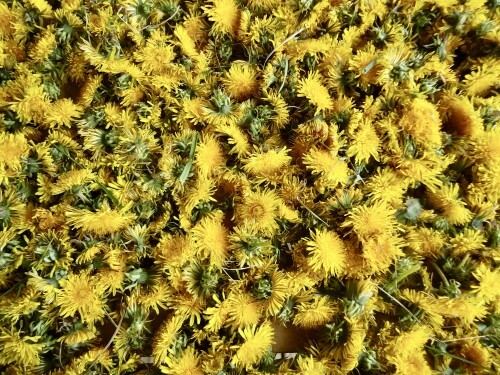 Biodynamic® is defined by the Demeter Farm and Processing Standards and is protected via a certification mark, which is an inclusive type of trademark. Demeter International is the first, and remains, the only ecological association consisting of a network of individual certification organizations in 45 countries around the world. Demeter US has 163 members and reaches over 10,000 certified acres. I’d like to point out that Demeter US was formed seventeen years before the USDA National Organic Program (NOP); following the evolution of farming practices in the last century, one could suggest that Biodynamic agriculture is the parent of organic. 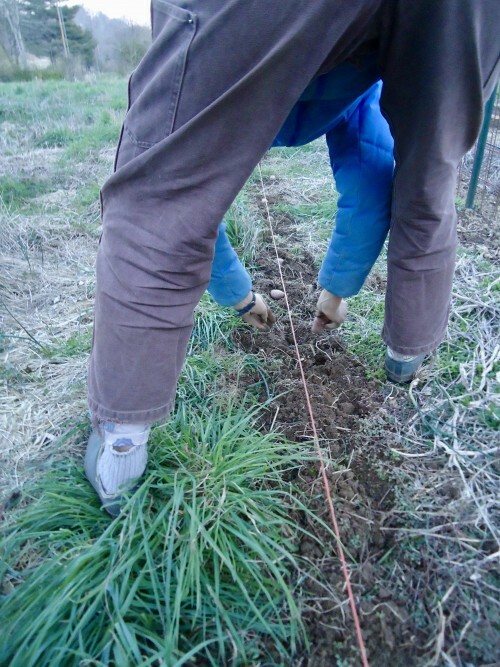 At Frey Vineyards we adhere to the Demeter Farm Standard, which incorporates NOP practices, but goes a step further because it retains the view of the farm as an integrated whole. The Demeter standard requires whole farm certification. 10% of total acreage must be set-aside as wild area to promote biodiversity. 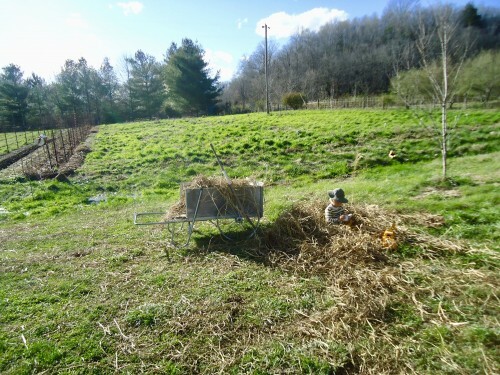 Because the farm is managed as a self-contained system, fertility is generated via the integration of livestock, compost, green manure, and careful crop rotation. Disease and insect control are addressed through botanical species diversity, predator habitat, and attention to light penetration and air flow. The use of the preparations is required. 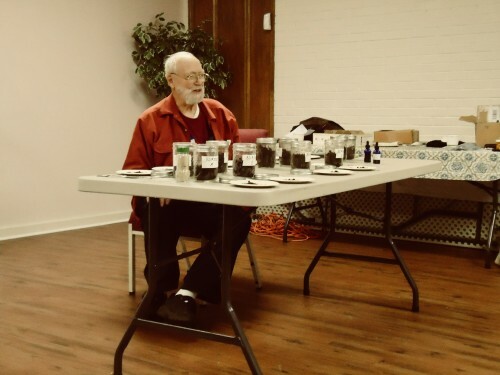 There are eight preparations in all, made from herbs, mineral substances and animal manures, that are utilized in field sprays and compost inoculants applied in minute doses, much like homeopathic remedies are for humans. The Farm Standard is historically significant because it dates back to the beginning of the modern sustainable agriculture movement and captures key agronomic principles not comprehensively addressed within any other agriculture certification system. 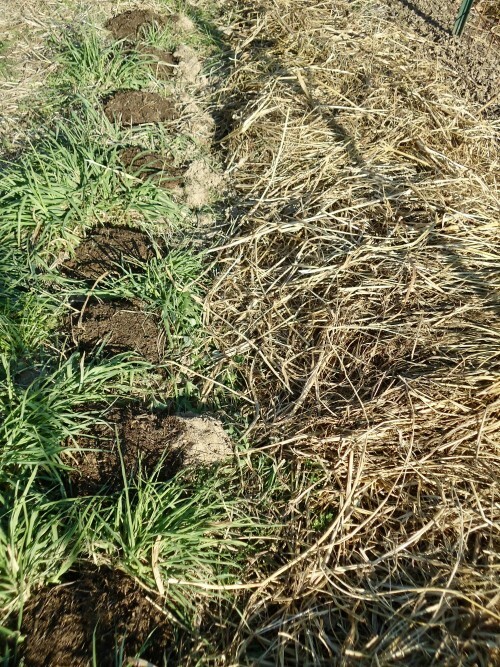 As such, Biodynamic agriculture represents one of the highest paradigms of sustainable farming, and offers one of the smallest carbon footprints of any agricultural method. Standards are developed democratically, seeking input from farmers and processors and then vetted and voted upon annually by the international Demeter board. 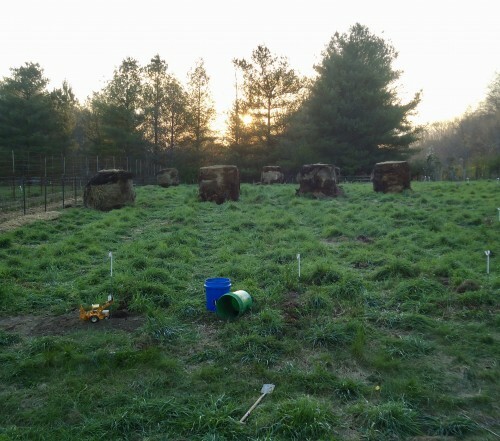 The standards are living and evolving and deserve respect from everyone who cares about Biodynamic agriculture and anthroposophy. All of these wet times in winter on the farm can really sculpt and determine what can be done when and where. 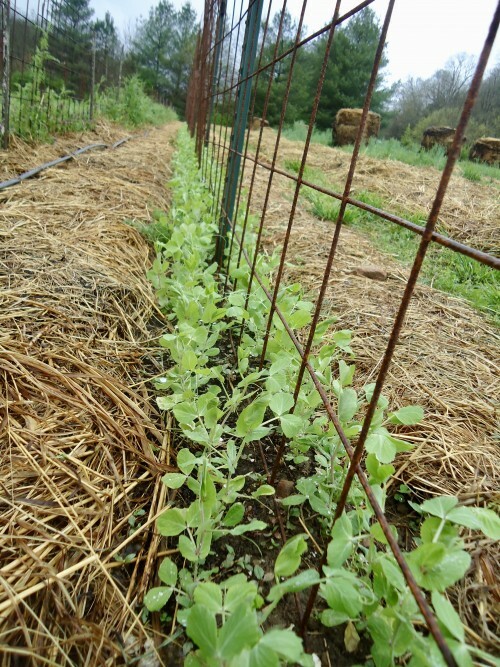 For example, pea planting is going to be upon us soon and one cannot plant pea seeds when the ground is saturated to its max. We can only hope and bide our time well in the meantime. 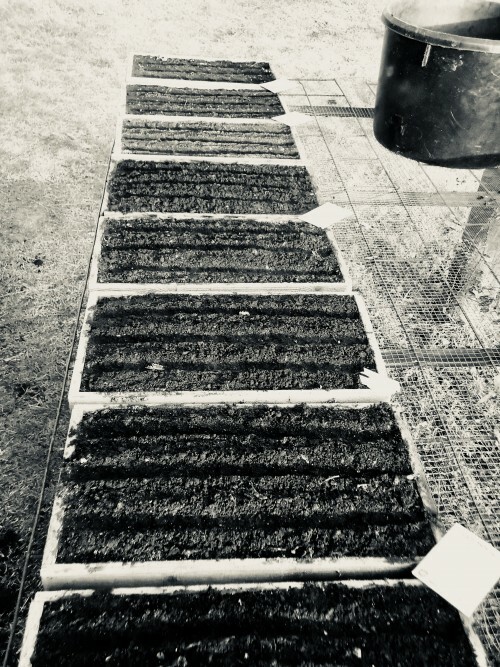 On the other hand, an act that is not impaired by saturated soils is the starting of seed onions in wooden trays in our own farm made planting soil, which never gets to soggy! The 13th will be the day, as we will find ourselves in the favorable root starting sign of Capricorn. Until next time keep your head rooted into the ground...yes indeed our head is our roots! Posted 2/5/2018 12:41am by Allison Mills Neal & Matthew Neal. If you have ever read the book of One Fish, Two Fish, Red Fish, Blue Fish by Dr. Seuss then you might just recognize the apparatus that E. Dutch requested to construct. Yes, he calls it his "ROOM ZOOM" and with it he can fly through the air with great ease and he got the idea from his favorite page in the book. He can fly inside and out and he was ever so handy when we started our winter trellis cleaning project. There above are some nice before and afters of this project. We come in by hand and pull off the interwoven 2017 Heirloom Carolina Red Lima Vines and lay them down to be used as mulch for our up and coming Snap and Snow Vine Sweet Peas. 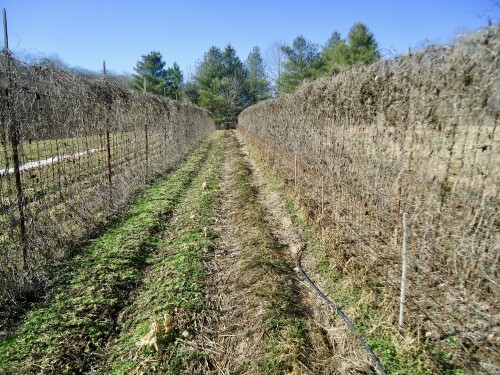 Our trellis systems are enduring and they will follow long term rotations of crops and cover crop. Over the next so many years, we will continue to add to our metal trellis systems in order to grow higher volumes of Legume pole varieties. Going from week 4 to week 5 we moved into the second winter month of the year. February is the last month we as farmers have to get items in line before all the hustle and bustle of March begins. 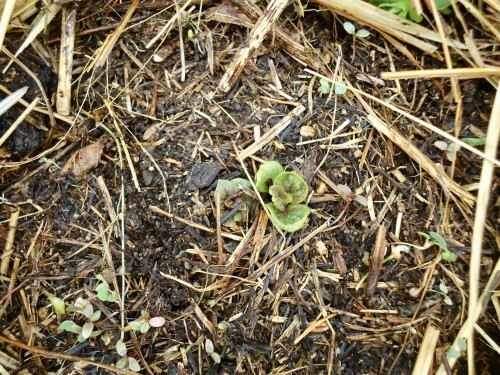 In fact, some early plantings will have already begun by the end of this month. Snap Peas and Snow Peas are a couple of those crops and both of which we will be growing lots of! Sweet Peas are one of my most prized and favorite fresh eatings of the growing season. Peas are always the first legume of picking that has nice bulk weight. Peas are so very delicious and they only are in season with magnitude in the spring for our state of TN and that is any reason of why a pound is easily consumed just by one person in a mere day. I am hoping to successfully plant these varieties in a proper succession to insure that customers and restaurants can have available peas for at least a month or more! Speaking of, here is a link to what MEEL has put together with our Heirloom Carolina Red Limas. If you are in MEEL's delivery range, which is kind of wide and far, please give this superb looking chili bundle a try. We are eating everything carrot around here. Carrot and Bean Soups, Carrot Spiced Soup, Crunchy Raw carrots, you name it. Night vision is our goal, or at least that is what I have told E. Dutch. He dreams of being a Buck Deer and by eating his carrots of plenty he might obtain night vision in the ranks of just that! Sorry not to have plenty to offer over, but just planted enough to make it through the winter for us this go around. I thus far have been very impressed with their stance even after all the real cold weather we have had this winter. 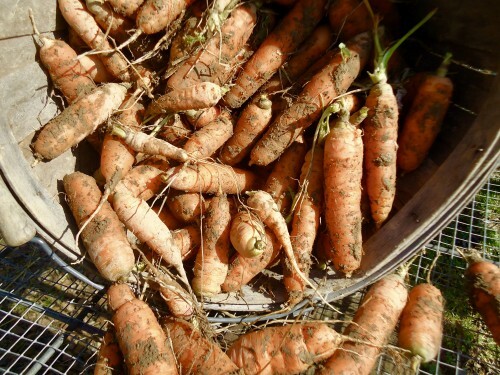 Of course they are not perfect, as not any overwintered carrots in the open are, but some are quite close. We finished off the mild week by rotating the two American Milking Devons into their 4th paddock. They have made it out into the large windmill field where we are running the temporary fence lines narrow from East to West. They are just wonderful to have around and we think they are liking it just as much as we are enjoying them being here. Lastly, as for all to happen, it is pertinent that I find and fill the two farm partner positions, so here I am going to re post the link to the website that shares all info about the available Arugula's Star Farm Farm Partner Positions. Please post and pass along to anyone that you think might be interested!